B.N.E. 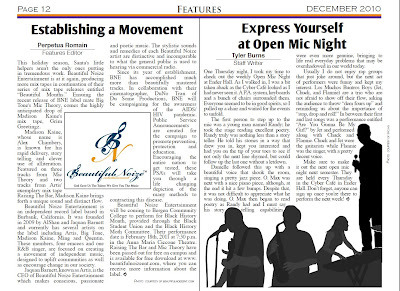 "Establishing a Movement" Article by Perpetua Romain. BNE Concert: February 18th, 2011 at 7:30 p.m. in the Anna Maria Ciccone Theatre & More! This holiday season, Santa's little helpers aren't the only ones putting in tremendous work. Beautiful Noize Entertainment is at it again, producing more mix tapes in continuation of their series of mix tape releases entitled “Beautiful Months.” Ensuing the recent release of BNE label mate Big Tone's Mic Theory, comes the highly anticipated drop of Madison Kaine's mix tape, Grim Greetingz. Madison Kaine, whose name is Alex Chambers, is known for his rapid delivery, story telling and clever use of alliteration. 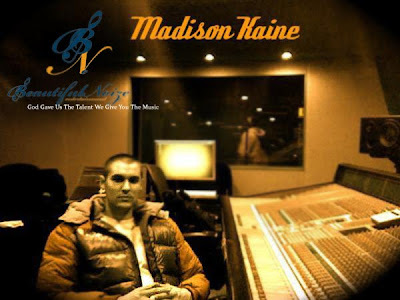 Featured on three tracks from Mic Theory and two tracks from Artis' exemplary mix tape Raising The Bar, Madison Kaine brings forth a unique sound and distinct flow. Beautiful Noize Entertainment is an independent record label based in Burbank, California. It was founded in 2009 by AlShan and Jaquan Barnett and currently has several artists on the label including Artis, Big Tone, Madison Kaine, Ming and Quentin. These members, four emcees and one R&B singer, are focused on creating a movement of independent music, designed to uplift communities as well as encourage change in our society. Jaquan Barnett, known as Artis, is the CEO of Beautiful Noize Entertainment which makes conscious, passionate and poetic music. The stylistic sounds and remedies of each Beautiful Noize artist are distinctive and incomparable to what the general public is used to hearing via commercial radio. Since its year of establishment, BNE has accomplished much more than beautifully mastered tracks. In collaboration with their cinematographer, DuNo Tran of Du Some Productions, BNE will be campaigning for the awareness of the AIDS/HIV pandemic. Public Service Announcements are created for the campaign to promote prevention, protection and education. Encouraging the entire nation to get tested, these PSA's will take you through a life changing depiction of the many methods to contracting this disease. Beautiful Noize Entertainment will be coming to Bergen Community College to perform for Black History Month, provided through the Black Student Union and the Black History Month Committee. Their performance date is February 18th, 2011 at 7:30 p.m. in the Anna Maria Ciccone Theatre. Raising The Bar and Mic Theory have been passed out for free on campus and is available for free download at www.beautifulnoizeent.com, where you can receive more information about the label. This is a December 2010 issue. 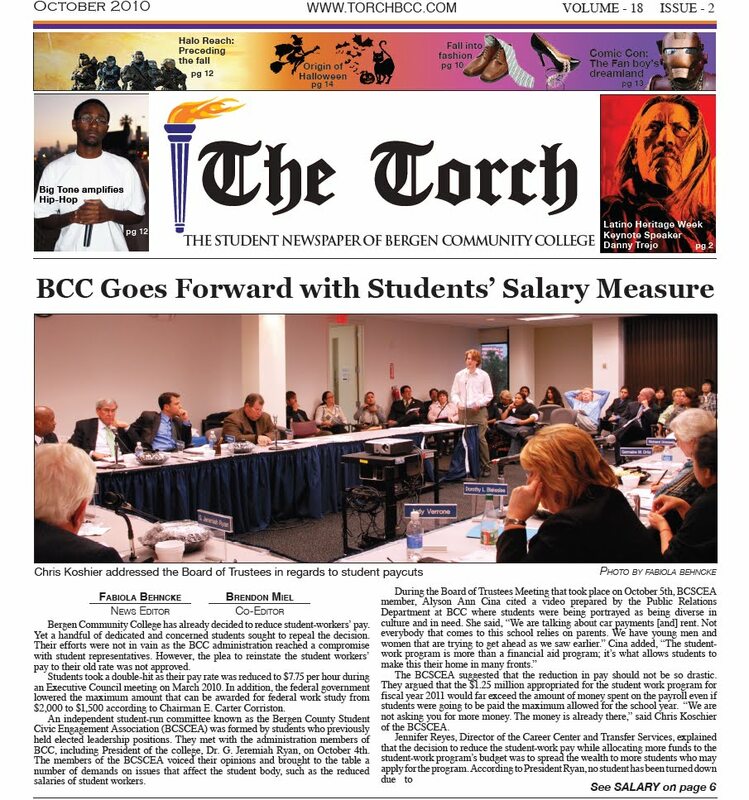 Please visit www.torchbcc.com for more info. 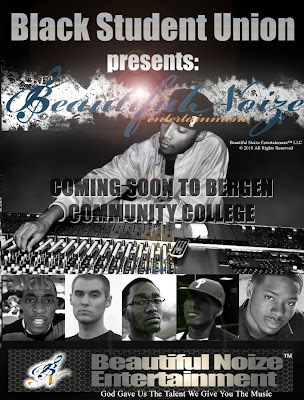 Beautiful Noize Entertainment Concert Coming February 2011 at Bergen Community College in Paramus, New Jersey Presented by Black Student Union! 400,000 Views and People Are Still Laughing at Our Drake - Find Your Love Music Video Parody "Find My Muffin" - Thanks For Sharing & For Your Support! A lot of things have been in motion that past 2 Months for us, and we have been severely busy. We shot a Public Service Announcement for HIV/AIDS with Du Some Productions and the project is very involved, detailed, extremely educational and filled with messages all aimed to raise awareness about these pandemic diseases. We will be releasing the PSA soon enough for everyone to check out and share with another friend, family member and more. We shot behind the scenes footage as well so we shall showcase that later. We also have other projects lined up with Du Some Productions for the 2011 year so we are keeping busy. Productivity is our focus, and we haven't slowed down. Beautiful Months Will Officially Resume in December with Madison Kaine's, "Grim Greetingz". #Sickness, The Illest Flow Coming Soon! Big Tone "Mic Theory" Mixtape Article "Hip-Hop Rebirth Owns the Mic" by Perpetua Romain of The Torch, Student Newspaper. Simply Amazing, A Must Read! “They don’t make them like this anymore...It don’t get better than us.” Famous lines that address the movement of a musical brotherhood. 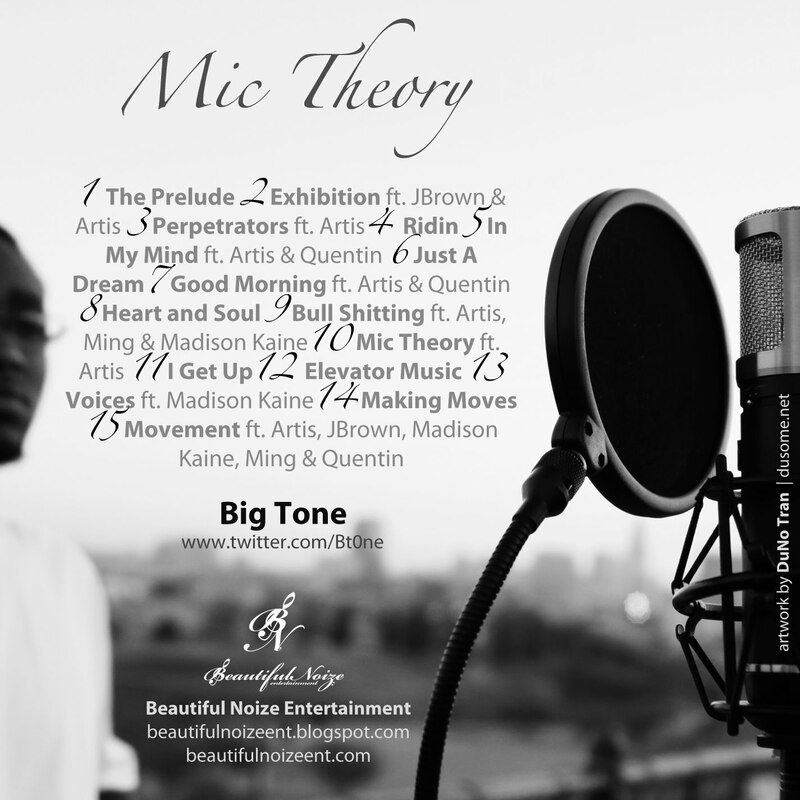 On September 28th, 2010, Beautiful Noize Entertainment (BNE) released their second mix tape of the label entitled, Mic Theory by rapper Anthony Soil, also known as Big Tone. This commenced as the grand opening to the series of mix tape releases this fall entitled Beautiful Months. For all the Hip-Hop heads looking for that steady pulsating music, this is definitely the mix tape that needs to be in your car CD player. Big Tone is a 20 year old Reseda, California resident, who birthed his dream of creating Hip-Hop at age 11. This is when he first picked up a microphone followed by composing songs, allowing him to not only be as real as he can be, but also to embrace his writing, which acted as an outlet to share personal stories from his many life experiences. 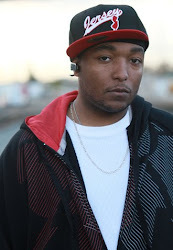 He appeared in his first official music video, “Artis – Real Recognize Real ft. Big Tone,” BNE’s first official music video. 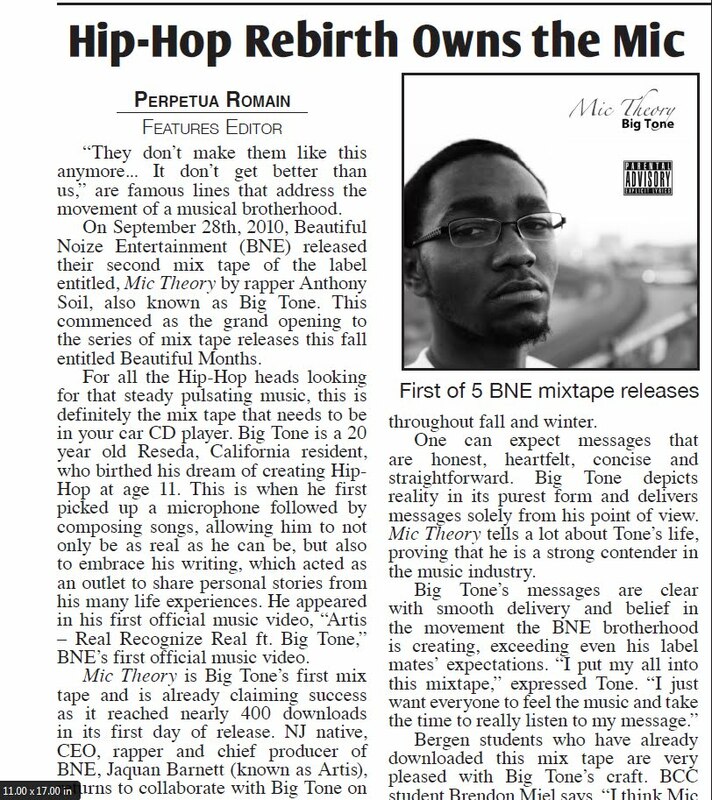 Mic Theory is Big Tone’s first mix tape and is already claiming success as it reached nearly 400 downloads in its first day of release. NJ native, CEO, rapper and chief producer of BNE, Jaquan Barnett (known as Artis), returns to collaborate with Big Tone on 7 out of 15 tracks, branding his strong appearance since last year’s Raising the Bar, BNE’s first mix tape. Although it is truly difficult to favor tracks since the entire project is exceptional, popular tracks include: “Exhibition,” “In My Mind,” “Just a Dream,” “Good Morning” and BNE’s theme song “Movement,” the descendant track to their anthem, “Beautiful Noize,” featured on Raising the Bar. Some instrumentals are produced by Artis, also including tracks spiced with Kanye West , Just Blaze and Talib Kweli. Mic Theory features label mates Quentin (BNE’s newest singer), Madison Kaine and You-Tube sensation Ming (BNE’s first label mate). Each member of BNE will be featured on each others’ projects, all releasing throughout fall and winter. One can expect messages that are honest, heartfelt, concise and straightforward. Big Tone depicts reality in its purest form and delivers messages solely from his point of view. Mic Theory tells a lot about Tone’s life, proving that he is a strong contender in the music industry. Mic Theory is available for free download on www.beautifulnoizeent.com where you can also listen to Raising the Bar and watch music videos to their singles. His promotional trailer can be viewed at www.beautifulnoizeent.blogspot.com. This is a October 2010 issue. Please visit www.torchbcc.com for more info. Unexpectedly last week Friday, AlShan and I (Artis) experienced the death of our Aunt Francis and we are flying to New Jersey on October 7th to attend her wake and funeral over the course of the weekend. As far as Beautiful Months, unfortunately we will have to delay the process of Ming's "The Prequel" Mixtape and Madison Kaine's, Grim Greetingz. We have to take care of this family matter and I promise you that I will do my absolute best to keep you all informed on the new release dates of these projects so "Beautiful Months" can continue. In the meantime, please enjoy Big Tone's "Mic Theory" Mixtape and be sure to download it and watch the trailer if you have not all ready. Please check the Blog for the direct link for his project, the Facebook Fan Page, etc. 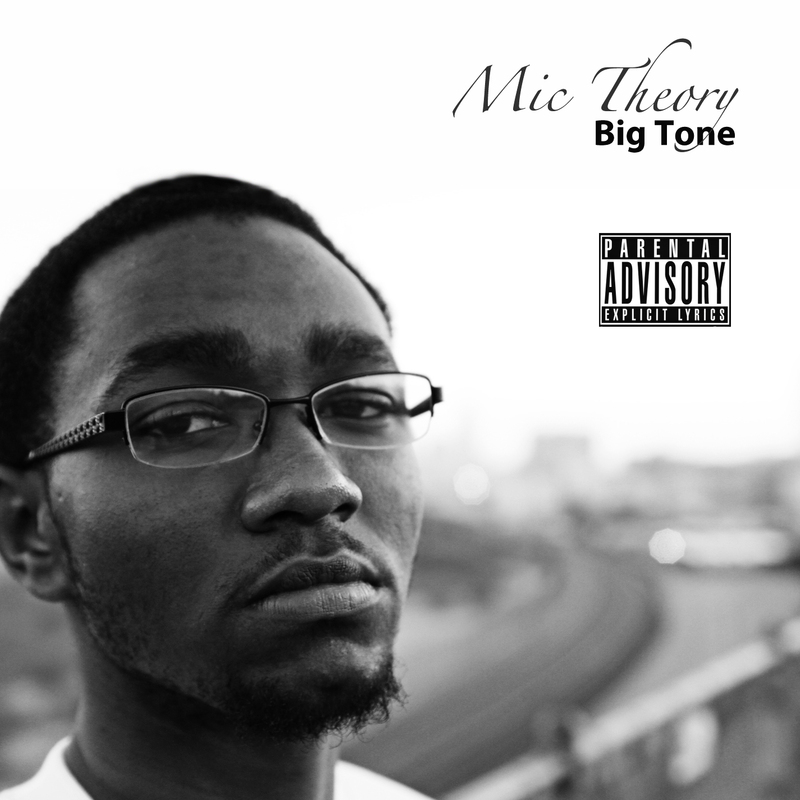 Big Tone's - Mic Theory Trailer & "Mic Theory" Mixtape Available for Download Now. Get in Tune with Big Tone & A Whole lot More of Beautiful Months. "My Chick Bad" (M&M Mix) by: Lady Maverick - We Fully Support at B.N.E. as She Does Us! She is the Future For All Females to Follow! This is the 1st of Her "Mini-MONSTER" (Remixes) aka "M&Ms"!!! She is the Truth, Please Enjoy! When Taco Bell Goes Wrong!! HILARIOUS!! Tim pulls a Prank while Arits & Madison Kaine Orders! A Must See! Find My Muffin Craze is in Full Effect! From More Muffin Videos Being Released to Muffin Sales Going Up, We Say Keep them Coming! BNE & Du Some. A Remix Parody by "KrissChinTV" who stated, "I understand there's already a good "Find My Muffin" video but I had this idea at one time and put a lot of time into this. Good Job, from BNE & Du Some. 100,000 views in 3 Weeks & an amazing Article by Perpetua Romain of The Torch, a Student Newspaper in New Jersey! A Great Read, We So Appreciate Her! From the creators of the singles, "Real Recognize Real", "Feel Me", "All In Vain" and the new comedy sketch, "That’z Gold", starring Y.J. Gold, comes a fresh brink of creativity—literally. Beautiful Noize Entertainment and DuSome Productions have collaborated their ideas and talents to construct one of the most comical video parodies to hit YouTube. “Find My Muffin” the official video parody to Drake’s “Find Your Love” has made over 100,000 views within a period of three weeks, making it the most viewed "Find Your Love" parody in the shortest amount of time. The "Find Your Love" parody takes you through every screen shot of Drake’s music video with a twist. Drake’s personality is impersonated to a tee, leaving your sides aching from laughter, and your stomach growling for a freshly baked, steaming hot muffin. 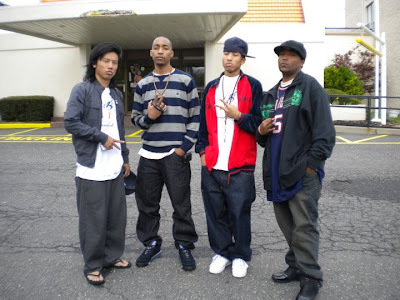 The parody was filmed and directed by the amazing DuNo Tran of Du Some Productions, and has directed all of B.N.E.’s videos including, Ur So Gonna Miss Me by LazaJuan, Artis - All in Vain ft. Ming, Artis- Feel Me and Artis - Real Recognize Real ft. Big Tone. Beautiful Noize Entertainment (BNE) and DuSome Productions’ work is not solely limited to this hilarious parody. BNE is an independent record label based in Burbank, California. It was founded in 2009 by CEO’s AlShan and Jaquan Barnett, and is comprised of several artists on the label including Artis, Big Tone, LazaJuan, Madison Kaine, Ming and Quentin. Each B.N.E. artist will be releasing their mix tapes starting with Big Tone on September 28th, 2010 throughout December 28th, 2010 for people to enjoy. Jaquan Barnett, a.k.a. Artis, is the first member of the label to release a mix tape entitled Raising The Bar, which is currently available for free download. 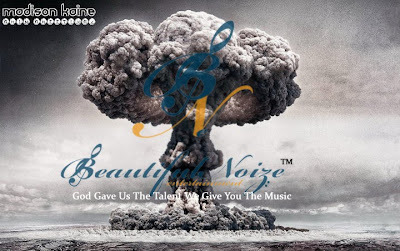 “Beautiful Noize Entertainment makes conscious, passionate and poetic music. The stylistic sounds and remedies of each Beautiful Noize artist are distinctive and incomparable,” says Barnett. Raising The Bar 2 is expected to release later this December 28th, 2010. Du Some Productions is a cultivation of ideas aimed to entertain the masses through media such as film, video, music, photography and design. They are dedicated to producing quality work that will entertain, inform and/or educate the audience or a varying degree of issues using what they can. Du Some Productions was formed in the spring of 2008 by a group of students aspiring to make a name for themselves in the media world. They garnered critical-acclaim from professors and students alike which drives them to exceed far beyond their limits. They have dedicated themselves to bringing the people entertainment in the form of video, music, photography & design. B.N.E. Presents "Beautiful Months" Where We Will Be Dropping Monthly Mixtapes from Each B.N.E. Artist Starting this September 28th to December 2010! Video Response to our "Find My Muffin" Video. Great to know people are feeling it. Du Some Productions is on the Rise! BIG NEWS for our director DuNo Tran, Steven, & Y.J. of Du Some Productions as Michelle Phan, the Professional Makeup Artist just added them to HER LIST OF AWESOME CHANNELS to CHECK OUT on YouTube! She is HUGE on there, (#1 Subscribed of All Time for Gurus), She is Intelligent, Informative as well as Extremely Skilled & Talented at her Artistry so (Ladies Check Her Out Most Importantly!). Please support by Subscribing to her Channel and & Du Some Productions Channel as well. You can check out her link here, "http://www.youtube.com/michellephan" to watch her AMAZING VIDEOS and also to see the spot Du Some Prod. has recently received. This is rewarding, and B.N.E. is very excited for Du Some. P.S. Our new video with Du Some Productions "Find My Muffin" the Drake - Find Your Love [Official Music Video Parody] is over 70,000 views now in 2 and a half weeks so let’s hit 100,000 in a week or less. 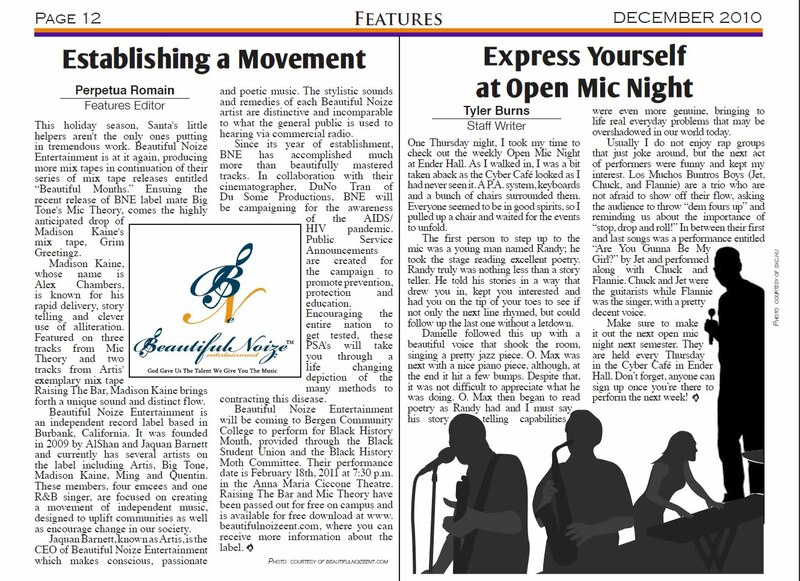 Great things are happening for both B.N.E. & Du Some Productions all Praised to God! 50,000 Views and more in only 2 Weeks! Our Latest B.N.E. & Du Some Prod. "Find My Muffin" Music Video Parody of Drake's - "Find Your Love" is a Hit! Watch it here on our blog or search YouTube for "Find My Muffin, Drake - Find Your Love Parody" or copy and put in this direct link right here "http://www.youtube.com/watch?v=OrOMaEN2L6Y"
B.N.E. Presents, Madison Kaine's - "Grim Greetingz" Unofficial Album Art Work. This is a project that you want to get, Coming Soon! Beautiful Noize Entertainment and Du Some Productions Music Video Release Party Tonight at Blue Velvet from 8pm - 1am. Come Screen it Live with Us! New Music Video Shoot with B.N.E. & Du Some is Done, Let the Editing Begin! Last Day of the New Music Video Shoot with Beautiful Noize Entertainment & Du Some Productions. Come Join Us and Have Fun! Tomrw at 10:30AM to 2PM, The Velvet Room, 533 S. Los Angeles St. Los Angeles, CA 90013. B.N.E & Du Some Productions - DuNo Agrees to Shave His Head if New Music Video Hits 6 Million Views! Artis getting a bite to eat after his performance at Hollywood Studio Bar and Grill and DuNo Agrees to Shave his Head if our New Video Hits 6 Million Views! Day 2, Resuming the shooting our new music video with Artis, NahSla, Tim and Y.J. Gold, Steven and DuNo of Du Some Productions in North Hollywood. Shooting Day 3 in San Diego, CA, and Day 4, 5, and so on throughout Los Angeles, CA. Contact us, if interested in being in the video. (BNE) If interested in being in the video, contact us and we can make arrangements to accommodate you. Artis will be performing at Hollywood Studio Bar & Grill tonight, July 30th, 2010. Doors open at 9pm, and it's going to be a Lyrical Night for the both of them. $10 cover at the door, interviews, and Major Label Execs in attendance. Come enjoy good music, 6122 West Sunset Boulevard Los Angeles, CA 90028. Before the Fame Episode 14 & 15 as well as BNE & Du Some Productions are at it again with their New Music Video Shoot! Watch Before the Fame Episode 14 where Fresh records in San Diego, CA with Artis, NahSla, Tim and GodSon. Fresh's mixtape, Unusual Suspect is coming soon so look out for that and also enjoy a phone call from Ming, and a hilarious scene at Wendy's. Watch the Before the Fame Episode 15 where Fresh, Artis & Big Tone record in San Diego, CA at Full Clip Studios. Also enjoy, Twitter conversations, talks about the NBA, and a phone call from JBrown & Ming with a freestyle. It was a good day. "A tribute to GoldenBoy." Follow the mind of Y.J. Gold and his efforts to "make some money." New comedy sketch starring Y.J. Gold. Follow the mind of Y.J. Gold and his efforts to "make some money." A first sketch of "That'z Gold," a new comedy series starring Y.J. Gold. Du Some Productions presents “That’z Gold,”a new comedy sketch series starring Y.J. Gold. Tune into the sketches and prepare to be entertained! Du Some Productions presents “That’z Gold,”a new comedy sketch series starring Y.J. Gold. Follow the mind of Y.J. Gold (Eugene Kim) and his efforts to become successful. The Official Beautiful Noize Ent. Website is Here! 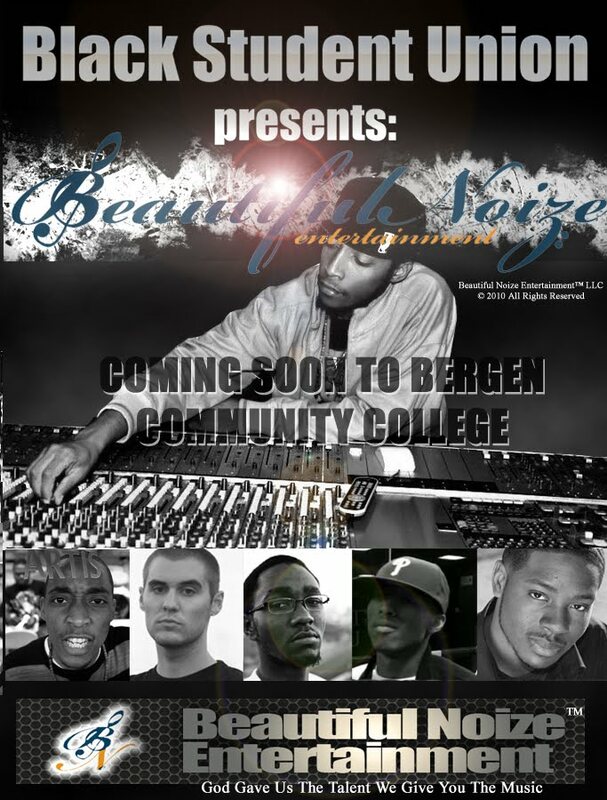 Visit "www.beautifulnoizeent.com" and check out all the members of B.N.E. The Official B.N.E. Website is Here. 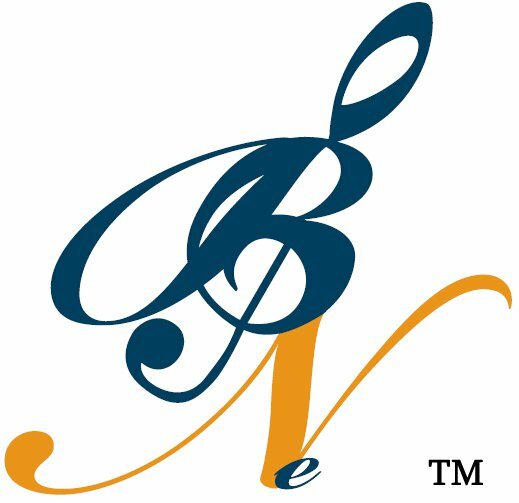 Click on the "BNE HOUSE" Button Above to Visit the Official B.N.E Website or go to "www.beautifulnoizeent.com" (BNE) God Gave Us the Talent, We Give You the Music. 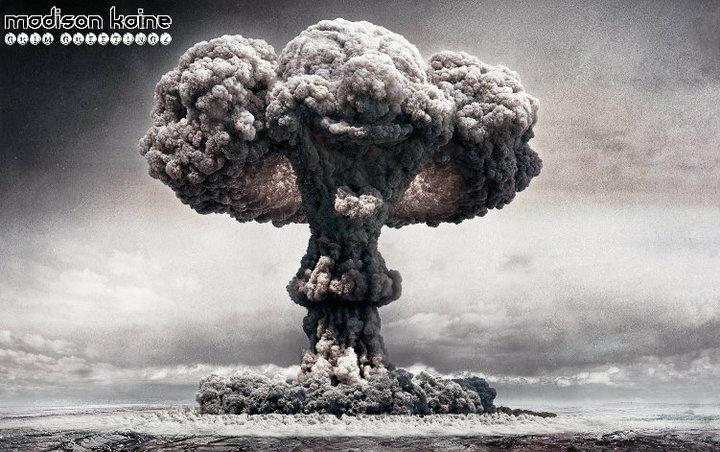 Ming of Beautiful Noize Entertainment goes in on the "I Gotcha Instrumental" by Lupe Fiasco and produced by Pharrell of the Neptunes. I know ya'll remember this beat! Leave comments and subscribe! Watch exclusive behind the scenes footage of LazaJuan & Artis in preparation for the Dwele Concert at the Key Club that took place Thursday night July 15th, 2010. The song "Beaches ft. Laz" if off the Artis - Raising the Bar Mixtape and be sure to look out for the music video coming later. Also check out LazaJuan's Musick, The Heart & Soul Provides the Perfect Beat & Melody, H&S Musick. 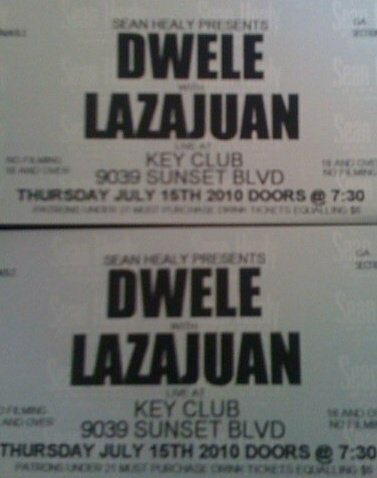 Live Performances from Dwele, LazaJuan & Artis this Thursday, July 15th at the Key Club. Come check out LazaJuan, "Mr. Heart & Soul," Performing Live this Thursday, July 15th with Dwele. "Artis" of (B.N.E) will also be performing "Beaches ft. LazaJuan," so if you are in the LA area come join us for good music. Watch exclusive behind the scenes footage of Artis performing Feel Me. This was the second official music video off the Artis - Raising the Bar Mixtape. The music video was directed and edited by DuNo Tran of Du Some Productions and produced by Alshan and Jaquan Barnett. You can watch the official music video below. 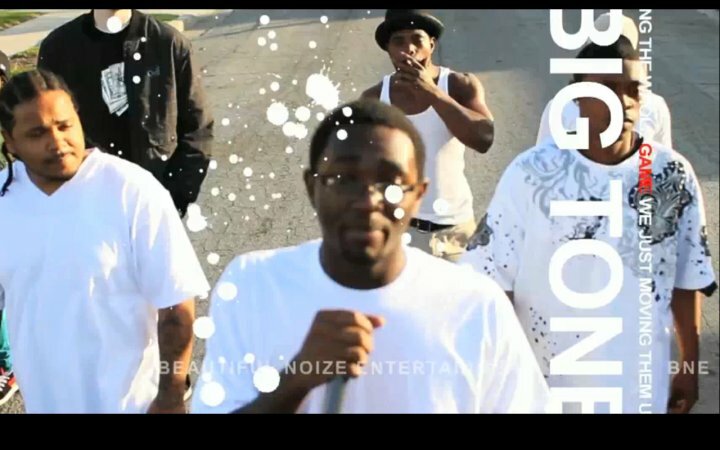 Watch exclusive behind the scenes footage of Artis and Big Tone performing Real Recognize Real. This was the first official music video off the Artis - Raising the Bar Mixtape. 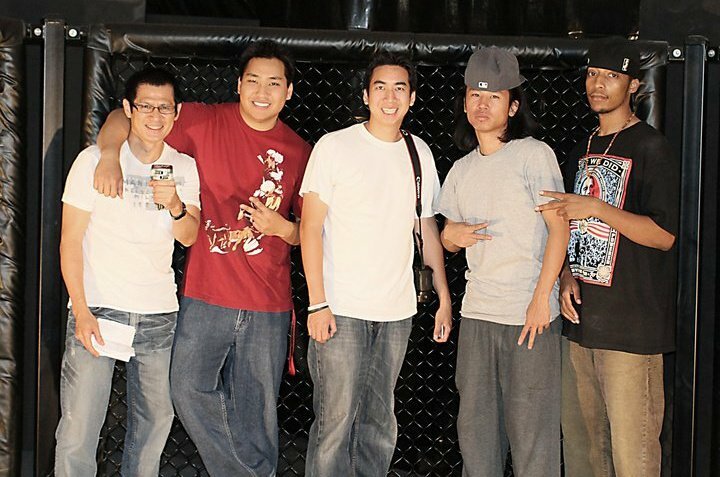 The music video was directed and edited by DuNo Tran of Du Some Productions and produced by Alshan and Jaquan Barnett. Be sure to scroll down below and watch the official music video in color and the exclusive version in black and white. Artis - Real Recognize Real ft. Big Tone (B&W) from Du Some Productions on Vimeo. 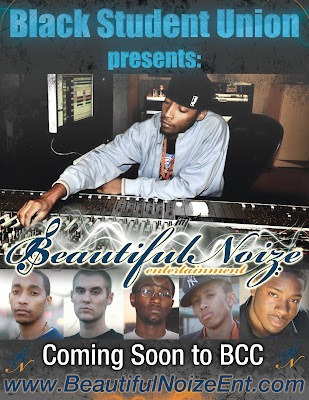 Beautiful Noize Entertainment (BNE) Official Website Coming Soon! The Official Beautiful Noize Entertainment website is under construction and coming soon. We will have a merchandise/store section where fans can purchase authentic B.N.E. T-Shirts as seen in the "Artis - All in Vain ft. Ming Official Music Video"(Please check out Below if you have not all ready). Also, this is where you will be able to see the bios of each B.N.E. artist, gallery pictures of the label mates, Mixtape art covers, All the B.N.E. Official Music Videos out and more. Thank You to everyone once again for supporting the label, the movement and please tell a friend if you are down with B.N.E. Download "Artis - Raising the Bar" Mixtape below, where each song as "Artis - All in Vain ft. Ming, Artis - Feel Me and Artis - Real Recognize Real ft. Big Tone" have been released. This is one of the best mixtapes out and look out for more music videos from the Raising the Bar Mixtape with B.N.E. artists as Ming, Madison Kaine, Big Tone and Laz. B.N.E. Presents Artis - All in Vain ft. Ming [Official Music Video] coming soon!!! Artis - All in Vain ft. Ming [Official Music Video] coming 5.3.10 Mark your calendars for the release. Be sure to rate, comment, and subscribe on YouTube. And, tell your friends, family, or anyone else about B.N.E. if you are feeling the movement & music. Artis - Raising the Bar eclipses over 10,000 mixtape downloads. I just want to say Thank You to all that have contributed to this mark. This is something that I will cherish for a very for a very long time and I am very appreciative of it all as well. To reach 10,000 downloads makes me very proud, and I would be lying if I said that this was expected. In fact, the downloads have exceeded my expectations and lets me know that B.N.E. is headed in the right direction. I could not have done this without the B.N.E artists, my brother Alshan Barnett, our director DuNo Tran, my family, friends, fans, and anyone that I do not even know that has spread the word to others about my music. I am in awe, and truly blessed to be amongst that best supporting cast of B.N.E. If you are new to the blog, and to my music or B.N.E. music please go download my mixtape, Artis - Raising the Bar. Also, check out both of my music videos that are out now, Artis - Real Recognize Real ft. Big Tone, and Artis - Feel Me. You can find those videos by scrolling down below, or searching them on youtube. Also be on the look out for the third music video off Raising the Bar, Artis - All in Vain ft. Ming. The video will be out at the end of the month (4.30.10). 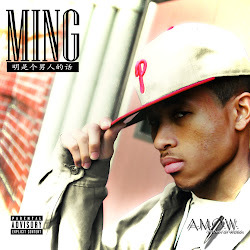 The video will be sick, I promise that, and be on the lookout for Ming's mixtape, "The Prequel" coming in May. We have a lot in store for you such as Madison Kaine's mixtape coming in June, we have Big Tone's mixtape coming in late June as well as LazaJuans's EP dropping so we shall provide that Heart&Soul Musick sound for the ladies and r&b lovers. Artis - All in Vain ft. Ming [Music Video Shoot] is FINISHED! NahSla, Artis and their Director DuNo Tran of Du Some Productions are back in California! Ming, the first signed artist of "Beautiful Noize Entertainment" is back in New Jersey and they all are proud and thrilled that everything went more than well. Please stay tuned for updates on B.N.E., updates on calendar dates for each artists projects as Ming, Madison Kaine, Big Tone and more from Artis. Thanks again to all that have supported the label, the movement, the music, each artist and have shown that respect more times over. We appreciate it all, we love it all, and we shall continue to do our best to inspire, and make Beautiful Noize like the label we are. - B.N.E. ADDRESS: N. Park Street & Springdale Ave, East Orange, NJ. DETAILS: Shots of Artis and Ming performing with fans that will be wearing (B.N.E) T shirts”. ADDRESS: 341 South Madison Ave, Dunellen, New Jersey. DETAILS: Shots of Artis and Ming performing at a House Party. EVENT: Venue Scene at "Vivo Tapas"
DETAILS: Shots of Artis and Ming performing at a Venue. LOCATION: The Bronx/Manhattan, NY/ Jersey City/Newark/Oranges, NJ. DETAILS: Shots of Artis and Ming performing throughout cities and different neighborhoods. DETAILS: Shots of Artis and Ming performing at a house party scene. EVENT: School Scene at "O.L.H.C." DETAILS: Shots of Artis and Ming performing at a School. DETAILS: Shots of Artis and Ming performing in an open car/drive in area. Check out the 2nd video from that smash mixtape Raising The Bar! Artis "Feel Me" http://www.youtube.com/watch?v=So1XBT49V_Q Shot, edited, and directed by DuNo of Du Some Productions. Also Produced by NahSla and Artis. Make sure to comment and rate! Thanks for all the love & support! Beautiful Noize Entertainment from 2003 - Forever! And if you haven't heard the mixtape which is almost up to 10,000 downloads, here are the links below. Artis - Raising the Bar has reached 9,023 Downloads and it is set to hit 10,000 downloads in its 10th week out. This is an amazing accomplishment for (BNE) and all the success not only goes to the Artis, all of the BNE artists, and NahSla, but to those that spread the word to friends, family, co-workers, strangers, peers, etc. Because of you, the fans, the supporters, it has received such good ratings and the proper push that it needs to hear how great the music truly is. We thank you so much seriously and we hope to continue to make you proud by providing great music that God gave us the talent to make. We are currently in the studio now recording "Madison Kaine's" mixtape, "The Diary of a Madman" and we will begin to record "Big Tone's" mixtape next week called "Mic Theory". Ming is in New Jersey and is currently recording music for his mixtape, and new tracks in his spare time. Also, LazaJuan is focused recording a lot of great music and is gearing towards releasing an EP/Mixtape coming soon. Please check all the link below for the "Ur So Gonna Miss Me" [Official Music Video] and him on Artis - Beaches Ft. Laz off the Raising the Bar Mixtape. The links for the mixtape and Artis - Real Recognize Real ft. Big Tone [Official Music Video] will be provided below. Thursday March 4th, 2010 begins the first Day of the "Feel Me" Music Video shoot. 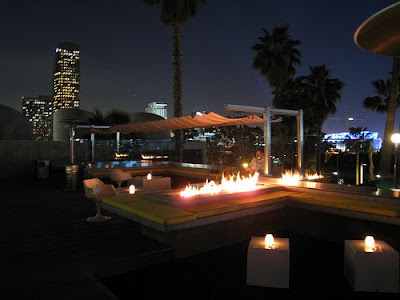 We will be shooting in the LA, Hollywood area and more starting at 12pm. 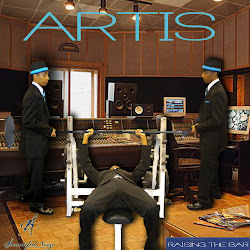 Please refer to (Track 16) off the Raising The Bar Mixtape by Artis if you are interested in the song we are shooting. And if you haven't seen the Real Recognize Real Video all ready please watch it now below on the blog. 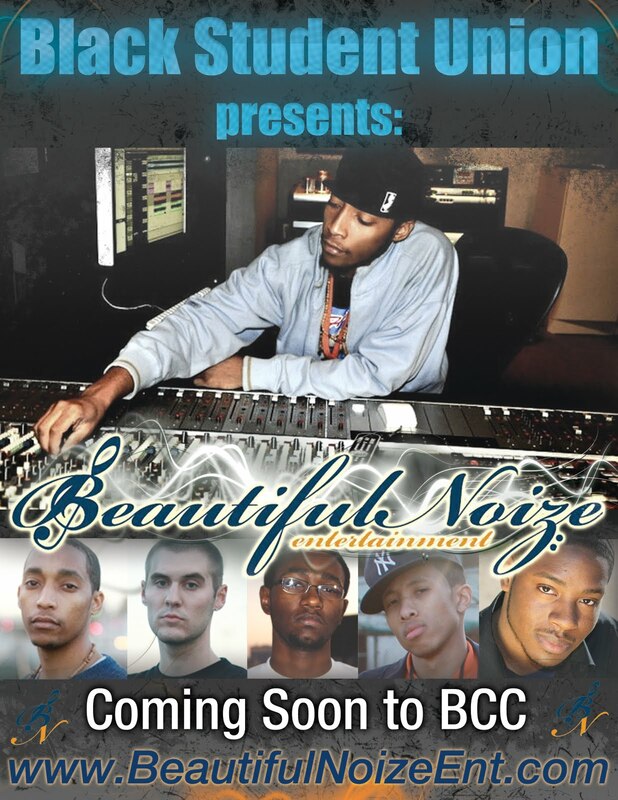 Also, please stayed tuned for the Official Beautiful Noize Entertainment Website that is being created right now. There will be an update on the Facebook Fan Page, each artist of (BNE)'s personal facebook, this blog, and word of mouth when the site is up. It is under construction now, but almost finished. Several of the artist's will be taking a photo shoot this Friday March 6th, 2010 for pictures on the website. Also look out for a new episode of Before the Fame, and Behind the Scenes Footage of the Real Recognize Real video shoot with Artis and Big Tone. Thanks again for the support, stay tuned for more updates. God Bless you all from the (B.N.E.) Family. Artis -Raising the Bar set to hit 10,000 Downloads? Artis and his first mixtape "Raising the Bar" continues to have great success at "8,277" current downloads. Beautiful Noize Entertainment is very Thankful for the support and attention that we have received from our fans and new fans. Please keep in touch with us again, check the blog for updates, Become a Follower of the Blog, a Fan on Facebook, and look out for more in the next few weeks from (BNE). Please check out Lazajuan's aka " Laz" and his new video/single "Ur So Gonna Miss Me" and the latest music video Artis -Real Recognize Real ft. Big Tone below. Special shout outs to "DuNo" of "Du Some Productions" and "Malcolm Roan" of "DeFiLoGiC Inc." He is an upcoming DJ doing his thing and is someone to watch out for as well. Shout outs to the artists, Madison Kaine, Ming, Laz and Big Tone! Beautiful Noize is on NikeTalk!!! Ming Goes in Raw, New Video of 2010. Be on the look out for more from BNE, the BNE Mixtape and his personal Mixtape coming soon. Real Recognize Real Video Shoot Begins today at 12pm. The first video shoot for the Raising the Bar Mixtape! In only five weeks out, Artis and his new mixtape "Raising the Bar" has received 6,015 downloads all ready. This is a huge accomplishment and Beautiful Noize Entertainment is very appreciative of everyone that has left comments, downloaded the mixtape, spread the word, and simply supports in anyway possible. We Thank You from the bottom of our hearts and we will do our best to make 2010 a great year. Please keep in touch with us, check the blog for updates, and become a fan on facebook as well if you are not all ready. We will post much more news in due time. Also plese check out Lazajuan's aka " Laz" and his new video/single "Ur So Gonna Miss Me" below on YouTube! We have the BNE mixtapes coming soon so look out for that. Shout outs to Madison Kaine, Ming and Big Tone! If you are new to the blog, and you have not all ready gotten one of the hottest mixtapes on the market today please go get ARTIS - RAISING THE BAR now links provided below. Thanks, peace and love to all! Again, check out Lazajuan's new video "Ur So Gonna Miss Me" below! Check out Lazajuan aka "Laz" and his new music video "Ur so Gonna Miss Me". H&S Musick, Beautiful Noize Ent All Day! 5K!!! 5K!!! 5K!!! ARTIS! ARTIS! ARTIS! RTB! RTB! RTB! Let's Keep The Movement Moving!!! We are now at "4,120" Downloads, yes "4,120" and counting!!! Let's keep the movement moving, hard copies coming very soon. Another Huge Push, and Huge Congrats to "Artis"!!! The people are speak'n and we hear them, ARTIS! ARTIS! ARTIS! RAISING THE BAR is 3,555 downloads and counting! Congrats to Artis, @Jqjbeezy, and the BNE artists Ming, Madison Kaine, @MadisonKaine on twitter, Laz, @LAZAJAUNSMUSICK on twitter and Big Tone @Bt0nE on twitter. And much love to James Barber, @Jbizhollywood on Twitter, and my dude Thomas. Lastly, Artis and I attended another seminar, with the one and only, HipHop Legend, MC Lyte as some of you may have seen the first seminar we attended on "Before The Fame Ep. 13". We spoke to her afterwards again and this time personally gave her a hard copy of the mixtape, and she said that she would play it as soon as she got in the car. Much love and respect to her and we thank her creating a great path for us to follow no matter if you are a female or male MC. Thank You again MC Lyte, and everyone out there that took the time to listen. Thank You all for the love and support, we greatly appreciate it. Let's keep it going, tell everyone, if you can comment, and leave feedback please do so! Thanks again.-Nahsla, @NahSla03 on Twitter. Congrats to Artis for the success of Raising The Bar! Raising The Bar has received over 2,572 downloads and counting. We greatly appreciate all the love and support. Shouts to Big Tone, Madison Kaine, Laz, Ming, Thomas Melendez Jr., and last but most definitely not least Super Engineer Mr. James Barber aka JBizhollywood and all that helped with the project. Just had a great meeting with all the BNE artist, in regards to the next move. Be on the look out for the unnamed, for now, BNE mixtape, coming soon, ft. all BNE artists. Let's keep it going! Raising The Bar mp3 version!!! 4 Mac users ITunes friendly!